Clarendon Grill is closing at the end of the month, the longtime Clarendon nightlife spot announced today (Monday). Long a venue for live music, Clarendon Grill (1101 N. Highland Street) first opened in 1996. Its interior and back patio were both renovated in 2010. In a Facebook post, the bar thanked its customers for its more than two decades in business. ARLnow reported in August that “for lease” signs were posted on Clarendon Grill’s windows. The last event currently posted on the bar’s website is a Halloween party scheduled for Saturday, Oct. 27. Also via social media, prolific local restaurateur and businessman Scott Parker, whose venues like Don Tito and The G.O.A.T. 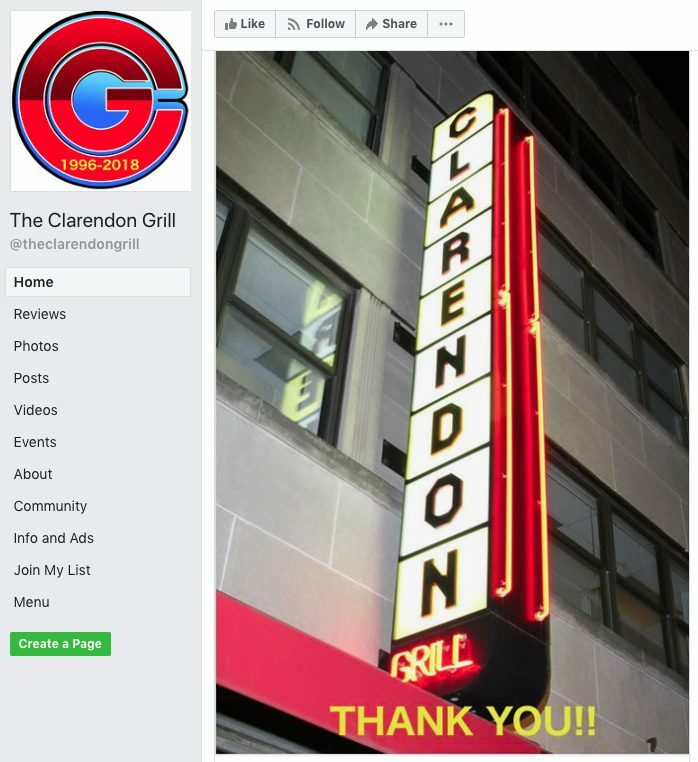 competed with Clarendon Grill, lauded its contributions to the local nightlife scene. The closure represents another blow for live music in Arlington. Another major Clarendon music venue, Iota Club and Cafe, closed last fall. 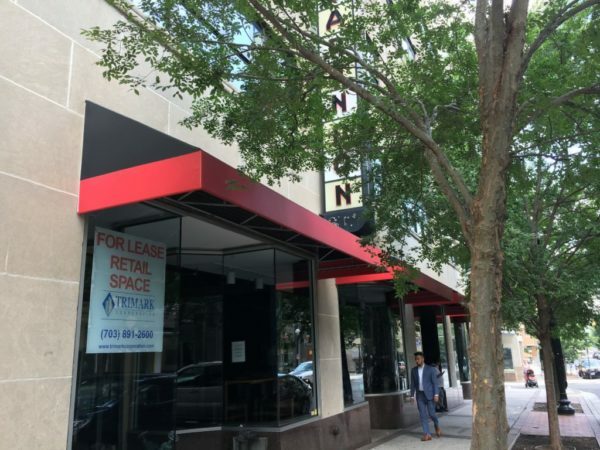 It is unclear at this point what may be taking Clarendon Grill’s place. The bar’s full announcement post is below.